Is divided government also limited government? What were the Framers thinking when they counted on the separation of powers? “The current shutdown is only a partial one, as Congress has already funded 75 percent of the federal government until September. Right now, there are still seven outstanding spending bills that have yet to be passed, which affect nine federal departments including Agriculture, Transportation, and the Interior. How do checks and balances between the executive and legislative branches work? What checks and balances exist between the two branches of Congress? What power accrues to Committee chairpersons? Why are these checks a vital part of our system? What connections between the branches need to work for the government to function well? Can either branch work independently of the other? How did the Founders view the branches? What were the most significant powers of the House and the Senate? What opportunities does divided government offer? What obstacles might divided government bring? What positive outcomes might be achieved by a divided government? Might legislative action in a divided government address the problems of infrastructure, health care, and security? Why or why not? Is the Democratic party also divided between new and more seasoned representatives What might be the effect of differences within the party? What is the meaning of the large number of voters in the November 2018 mid term election? What are the policy priorities of the new majority party in the House of Representatives? What are the leadership challenges for the Democratic majority? 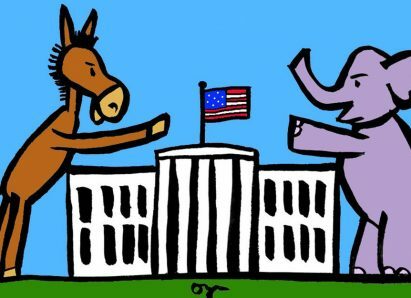 How might the choice for Speaker of the House indicate the direction of the new divided government?